Migrant Workers Sefton Community received a highly commended award yesterday (21st March) for their 2016 project which warned migrant workers living in Sefton of the dangers of borrowing from loan sharks. The charity worked with The England Illegal Money Lending Team (IMLT), Multimedia Company Handstead Films and Sefton Neighbourhood Team to produce a short film to demonstrate the perils of getting involved with an illegal money lender and to promote the help and support available to loan shark victims through the IMLT. The title for the film ‘Stop Loan Leeches’ came about after the charity found that the term ‘loan shark’ did not translate well in to Eastern European languages. In order to get the message across to migrant workers, the short film was translated in to six different languages: English, Latvian, Lithuanian, Polish, Romanian and Russian. Migrant Workers Sefton Community help mitigate the financial hardship among migrant workers and their dependents living in Sefton and the surrounding area. 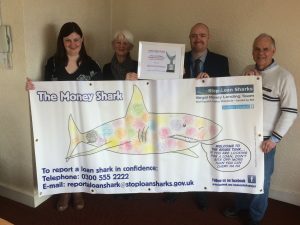 In 2016, The England Illegal Money Lending Team (IMLT) delivered training to volunteers from the charity on how to support migrant workers borrowing cash from loan sharks. Volunteers were taught on how to spot a loan shark and how to signpost victims to the appropriate help and support available. As a result of actively working with the IMLT to raise awareness of loan sharks, Migrant Workers Sefton Community effectively reached over 900 direct clients and over 2000 in-direct client family members. The project was funded by Sefton Council with support from the IMLT. “In Sefton we have always extended a warm welcome to migrants who choose to call our borough home and enrich it through their contribution to community life. “Unfortunately, they often face real hardship, in particular managing their finances, meaning it can be all too tempting to seek out illegal money lenders, which inevitably makes their situation worse. 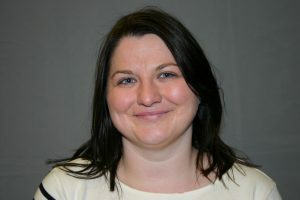 “It is heartening to see a service working closely with Sefton Council, take the fight to illegal lenders by educating migrants to make different and better choices – this award is richly deserved. “Well done to all our winners and ‘highly commended’ runners up in the National Champions Awards 2016. You have all contributed to making a difference and tackling this crime in your community.